Chicken With Rice Bake Recipe - Hi, today we are going to share chicken with rice recipe for non vegetarian people who love to take the taste of chicken with rice bake. Here is the simple guide how to cook chicken with rice bake. 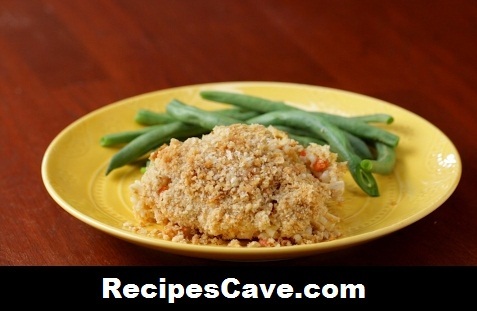 In a skillet, melt butter, and cook onion, garlic, carrots, and celery until tender. Transfer to a 9x13 disposable casserole dish, or split among 2 smaller dishes. Add chicken, rice, soup, stock, salt, and pepper. Mix thoroughly, and cover with foil. Bake for 30 minutes. Remove foil, top with bread crumbs if desired, and bake an additional 10 minutes. Or, bake for 30 minutes, let cool completely, cover, and freeze up to 2 months. To reheat, let thaw in the refrigerator during the day. Bake as directed above.